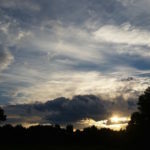 The following is an example of Field Writing, which is the literary equivalent to plein air painting; one goes outdoors to write from the environs. The sun’s obtuse angle has gilded the rural hills in gold. It’s the photographer’s “magic hour,” when the world is lit in twilight colors: darkest darks and lightest lights side-by-side, when fuchsia reds and rare violets are consumed alike by advancing gray. An afternoon rain has left its scent on the air, but the overcast has broken and few clouds remain. The high plains where Crazy Horse learned war ripple up into the blue-tinted Bighorn range. 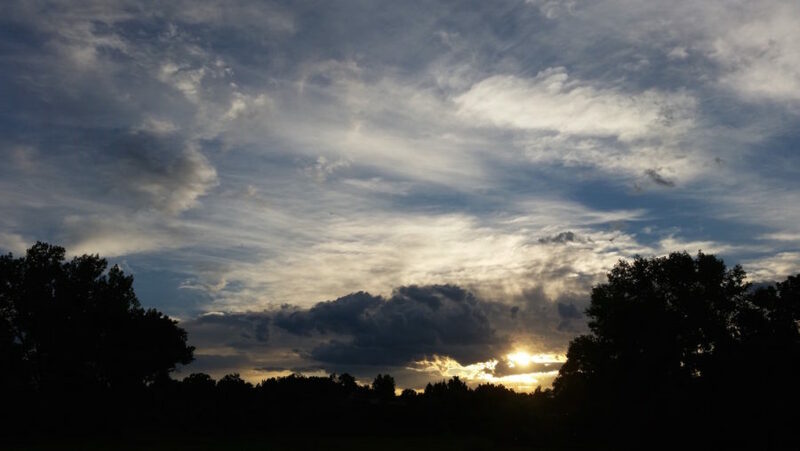 Above, the remaining clouds are hemmed in silver fire. Steam from a coffee drifts up from the red deck boards by my feet. The flat screen is muted with the sun behind it, and the unreality of the symbols thereon is brought to mind. What passes here passes like ghosts pass. Yet it’s not so unreal in a world where all impressions pass like this. We’re all participating in perception–this great river of ghosts–from the finch flying overhead to the white gnat that landed by my feet, the clouds, the sun, the author and the reader, the reader within the author, and the author within the reader…Now, the rain puddles on the deck catch reflections of the sky. So it’s all complicated. Ockham’s Razor is a fallacy. It’s never the simple hypothesis. The reality (the perception of perception) is always more complicated than the most contrived or outlandish of fictions and fantasies. Take, for example, how many blades of grass are out there on the high plains. Take also the uncountable water droplets suspended in maddening patterns in the silver evening clouds. The amount of reason needed to account for this all is greater than can fit in the cranium of the human animal; one is tempted to postulate an almost infinite amount of reason is needed to account for it, and an infinite amount of reason might be equal to insanity. 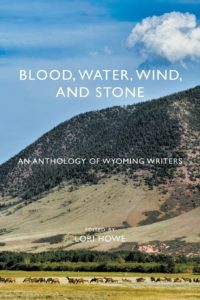 My poem “Thunderwing,” inspired by the Indian Wars, and by the Sioux victory at the Fetterman battlefield in particular, is honored to appear as the first work in Sastrugi Press‘ anthology Blood, Water, Wind, and Stone with thanks to editor Lori Howe. Blood, Water, Wind, and Stone is available on Amazon. The brand new journal Ruminations from editor Miguel Flores launches this week, including my new short story “The Way of Water,” along with great work by Bara Ehlag, Zoe Perot, photographer Yue Song, and others. 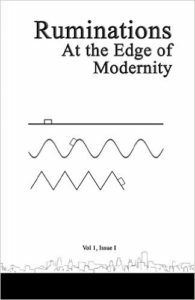 Ruminations: At the Edge of Modernity is available on Amazon for $9.99 US. Please support myself and the fine artists of this first issue of Ruminations Literary Journal by purchasing a copy. 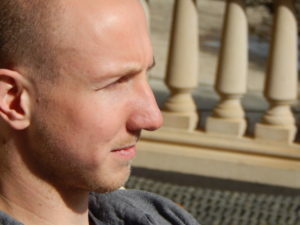 Miguel Flores’ Ruminations is one of very few literary journals to still make an effort to pay contributors for their work, which is essential, though difficult in the current publishing market, for art to flourish. In purchasing a copy of Ruminations, your purchase actually supports the artists involved. a fortification built by strange pre-cosmic colonists. Read about the book Man-Eaters of Kumaon by Jim Corbett @ Wikipedia. to tame his reckless strength to valiance. My brief poem, “At Valley of the Gods, UT” is fortunate to appear in the summer issue of Gyroscope Review. Look for it on page 28! My poem “Opportunity to Change” is fortunate to appear in editor Lori Howe’s Clerestory: Poems of the Mountain West. Read this new poem and the other fine works included in the Spring issue here. What is perhaps the largest Buddhist monument in North America is situated in the mountains outside of Fort Collins, Colorado. 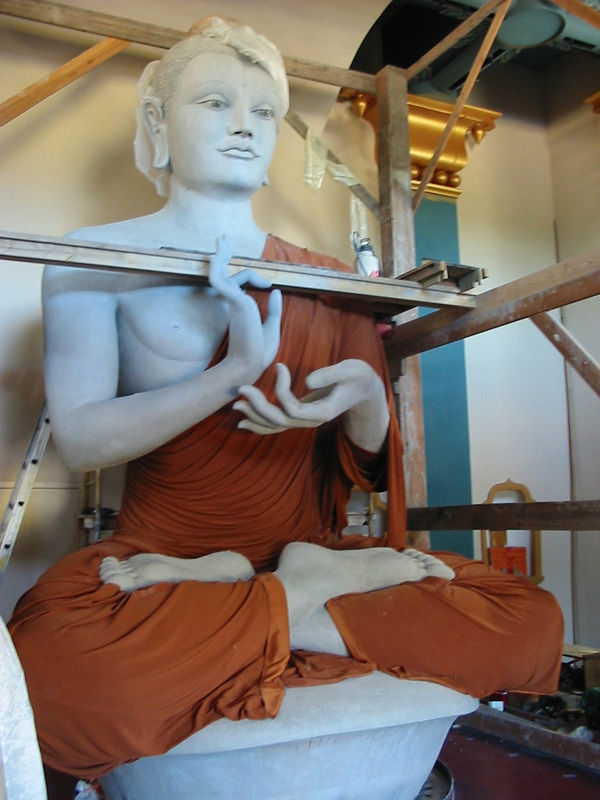 The monument, a stupa, was constructed between 1988 and 2001 to house a relic from Tibetan Buddhist teacher Chögyam Trungpa (1939-1987), whom the Shambhala Mountain Center celebrates as important for his role in advancing Tibetan Buddhism in the West.